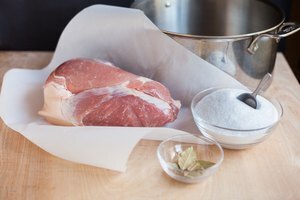 Brining is a process of infusing meat with salted water, resulting in moist, flavorful meat once cooked. Although brining most often is used at Thanksgiving for turkeys, you can use the method on just about any cut of meat. Barbecue pork ribs benefit particularly well from a simple brine. Since the ribs will be cooked over the high heat of a grill, brining will add some much-needed moisture to the process without too much extra effort. 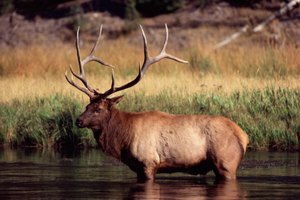 Boil 1/2 gallon of water in a large stock pot. Add 1 cup of table salt or 2 cups of kosher salt. If you like, you can add plenty of other ingredients to pump up the flavor. One cup of brown or white sugar, 1 cup of apple cider vinegar, 2 to 3 tbsp. of garlic powder or 3 to 4 tbsp. of black pepper are wonderful additions to a pork rib brine. 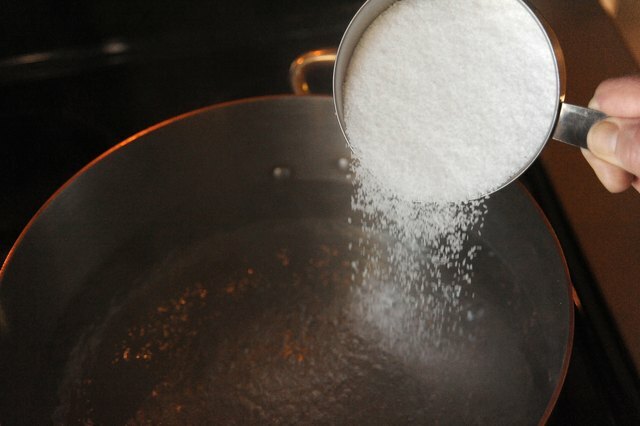 Stir continuously until the salt and sugar have dissolved. Remove the pot from the heat. Add 4 cups of ice to the mixture. 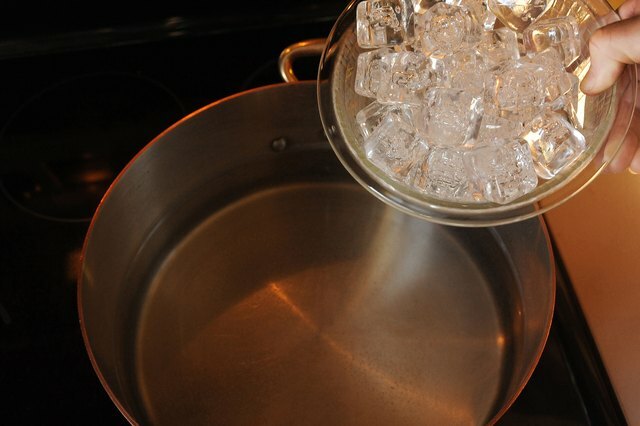 Allow the ice cubes to melt completely, cooling the brine. Add your ribs into a container that can easily fit your ribs. A stock pot, roasting pan or over-sized zip-top bags all work well. Slowly add the brine. 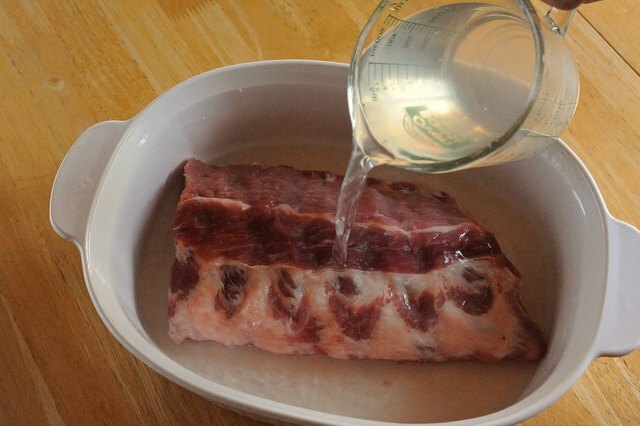 If your ribs are not completely covered with liquid, you can add extra saltwater solution. Add 1 tbsp. salt for each 1 cup of extra water. Place the container in the refrigerator. 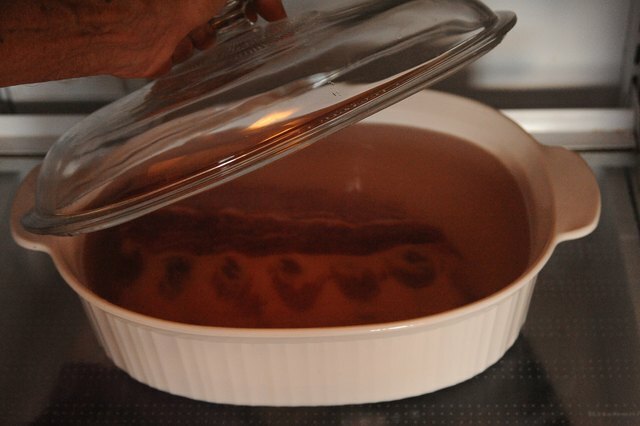 Allow your brine to set into the meat for a few hours, depending on the size of the meat. 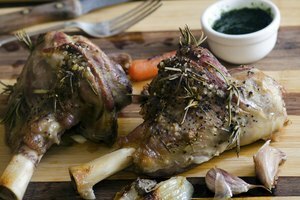 A 1-inch-thick piece of meat should brine for one hour; 2-inch-thick meat should brine for three hours; 3-inch-thick meat should brine for up to eight hours. Don't allow your meat to brine for too long. 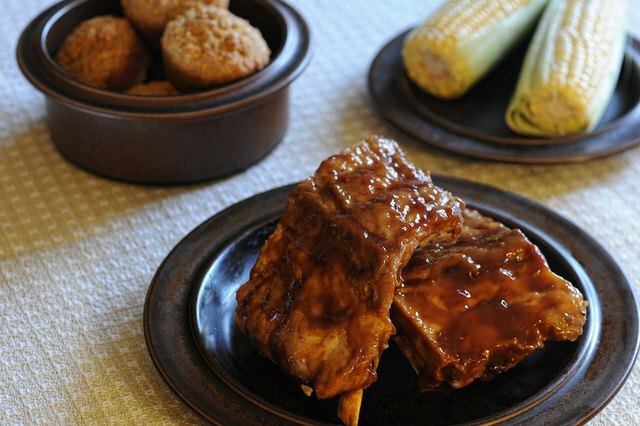 You can go overboard, and instead of moist, delicious ribs, you'll wind up with a salty mess. 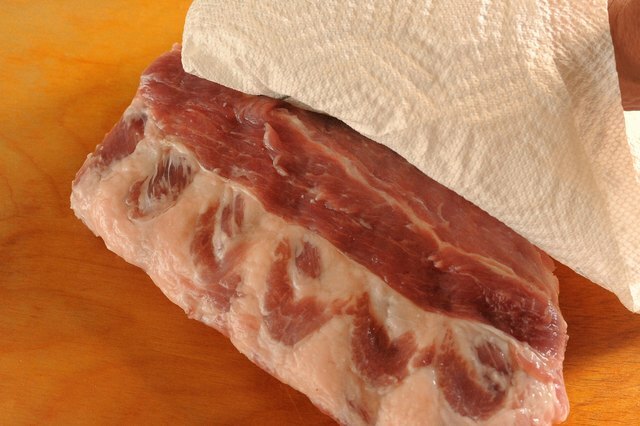 Remove the meat from the refrigerator and rinse to remove excess salt. Pat the meat dry with paper towels before placing it on the grill.